If you are having a difficult time falling asleep, the last thing that you want to do is to reach for a sleeping pill. Although some of these pills will help you to fall asleep, they really are only forcing a drugged, fake sleep. Unfortunately, most of time for most people, they wake up with a drug hangover and it takes from a few minutes to several hours to get your metabolism going. It is not likely that drugs will help to cure the problem. They may make you unconscious but what you are really getting can hardly be called sleep by any stretch of the imagination. I know you would like to cure your insomnia. You need to attack the problem from the root causes. Here are four natural cures that you can use which tend to help with sleep disorders. These are the two problems that cause a lack of sleep in many individuals. The first cure is blocking any extra sound or light that is coming into the room where you normally sleep. Outside noise in the home, such as a TV that is playing in your bedroom, will interrupt a sound, deep sleep. You can minimize the effect of noise on your sleep by getting a good white noise machine or wearing earplugs as you sleep. The second cure, is restricting the amount of light that infiltrates the room where we sleep. If there is light in our bedroom, it will be extremely difficult to reach the REM depths of sleep that refreshes your body, helps you to feel rested, and ready to face the world. The third cure is to prepare your mind and body for a good night’s sleep. Firstly, avoid any type of heavy eating. 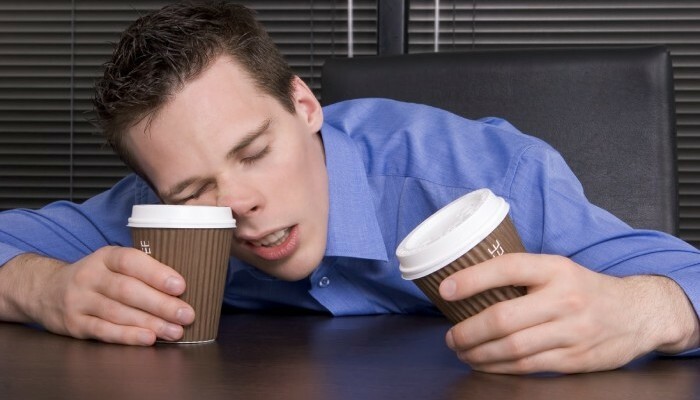 A definite no to stimulant drinks, such as caffeine within several hours of going to sleep. Sometimes when your watching television shows or movies that stimulate your thinking, it can raise your adrenalin levels from the excitement to a level that may keep you up at night. Natural Cures for insomnia and Sleep Disorder. Take the time to relax your mind with some soft music and light reading, even some poetry. Taking a lazy warm bath helps me relax and you can try a bath to see if it helps you also. Finally, you may try some good old fashion warm milk if you are having a difficult time sleeping. Warm milk has naturally occurring tryptophan which helps the body to produce serotonin naturally. This particular hormone helps you to feel good, acts as a natural sleep aid, and may help to alleviate any stress that is keeping you up at night. Persistent sleep deprivation affects nearly 40 million Americans and significantly impacts the lives and families of sufferers. Sleep disorders increase the risk, and are often the underlying cause of serious medical conditions including heart attack, hypertension, stroke, obesity, diabetes, chronic fatigue, impotence and depression. In addition to medical and health issues, chronic sleep deprivation also interferes with work, driving and social activities. The magnitude of the problem is so great, the National Institutes of Health [NIH] and other member organizations conduct ongoing research to help prevent, treat and cure sleeping disorders. Obstructive Sleep Apnea [OSA] is the most prevalent sleep disorder. Marked by loud snoring, gasping and choking, the most telling symptom is excessive daytime sleepiness. OSA is caused by the soft tissues of the tongue, palate and back of the throat that temporarily block the airway, making the sleeper to wake and stir in order to start breathing again. Occurring up to several hundred times a night, the natural sleep cycle becomes severely fragmented, denying deep restorative sleep essential to good health. Untreated, obstructive sleep apnea aggravates high blood pressure, increases the risk of heart attack, stroke, automobile and industrial accidents. Most people will have occasional bouts with insomnia that are usually triggered by stress, anxiety, diet, jet lag and other temporary situations. Insomnia is often a symptom of an underlying medical condition and extended periods of insomnia can lead to serious sleep deficits affecting job performance and general well- being. Restless Leg Syndrome [RLS] is an unpleasant tingling sensation in the legs and feet and is often described by sufferers as having pin & needles. The urge to move and rearrange the legs to get comfortable inhibits sleep and leads to insomnia. RLS may be related to other medical conditions including anemia, pregnancy and diabetes. Symptoms may develop at any age, but severe RLS is more common in elderly people. Narcolepsy is a sleep regulation disorder. Affecting nearly a quarter of a million Americans, the primary symptom is sudden onset sleep, or “sleep attacks”. Lasting from several seconds to more than 30 minutes, falling asleep at improper times is dangerous to the self and others, especially while driving and operating machinery. If you experience difficulty in sleeping for any significant length of time you may well be suffering from one of a number of common sleep disorders. It is estimated that more than 35 million Americans suffer from some form of chronic sleep disorder (sleeping problems lasting for more than one month), and that as many as 30 million more Americans suffer from shorter term or ‘transient’ sleep disorders. Mild sleep disorders, often triggered by upcoming events, such as important meetings or interviews, jet lag, or a passing illness, like a cold or the flu, present relatively little difficulty in terms of their management. Indeed, if left to their own devices, they will often pass quite quickly. This said, many simple steps can be taken to reduce the effects of mild insomnia and to speed its passing. Persistent sleep disorders are, however, a different matter. They will rarely disappear of their own accord and, more often than not, require pro-active treatment. Prolonged sleep disorders include conditions such as chronic insomnia, sleep apnea, narcolepsy and restless legs syndrome. Problems getting to sleep, staying asleep, waking through the night and not being able to get back to sleep, or waking too early in the morning, when experienced for any length of time warrants a diagnosis. You should also start to explore natural sleep remedies that can help you get a better night’s sleep and assist you in effectively managing your problem. Insomnia, which is the most commonly diagnosed sleep disorder, is also one of the easiest to treat. A few simple adjustments to your lifestyle, some structured relaxation or meditation, or a variety of herbal and natural sleep remedies will often provide a cure. Sleep apnea, like insomnia, is another sleep disorder affecting millions of Americans every year. The most dangerous of the sleep disorders, sleep apnea occurs when air flow through the windpipe is temporarily obstructed during sleep, often due to the relaxation or collapse of surrounding muscles. Sleep apnea is most frequently linked to snoring, although snoring by itself is not necessarily an indicator of sleep apnea. Narcolepsy, marked by uncontrolled ‘mini sleeps’ during the day (even when the sufferer otherwise appears completely alert), is sometimes confused with sleep apnea, even though they are two very different conditions. Restless legs syndrome (RLS) ranks as one of the most frequently diagnosed sleep disorders and affects more than twelve million people in the US alone each year. Unlike other common sleep disorders, restless legs syndrome combines the physical symptoms of a sleep disorder like insomnia with neural symptoms such as periodic uncontrolled limb movement and a tingling sensation in the legs and feet. Serious sleep disorders such as obstructive sleep apnea, chronic narcolepsy or restless legs syndrome require the intervention of a medical professional. There are, however, still many ways in which you can actively manage your sleep disorder yourself. Indeed , a whole variety of natural sleep remedies are available that can help you get a better night’s sleep and effectively deal with your sleep disorder, without resorting to sleeping pills or other artificial sleep enhancers. These natural sleep remedies are too numerous to go into any detail in this short article, but they include melatonin and valerian root, two natural alternatives to sleeping pills, as well as aromatherapy, color or chromatherapy and guided relaxation and meditation. Lavender or chamomile teas and infusions are also excellent natural remedies for managing a range of sleep disorders. While some persistent sleep disorders do certainly require the intervention of a doctor, chronic insomnia can, more often than not, be cured without the need for medical assistance. Understanding the cause of your insomnia and then making a few simple changes to your lifestyle can make a very significant difference to the quality of your sleep. With the added help of one or two natural sleep aids, you can then soon say farewell to this particular sleep disorder.